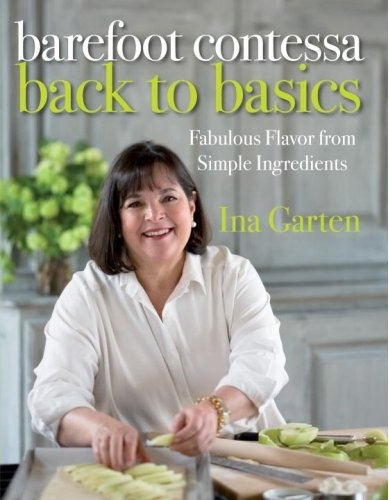 Barefoot Contessa Back to Basics: When I talk about getting back to basics, I'm not talking about simple mashed potatoes or a plain roast chicken. What truly fires my imagination is taking ordinary ingredients and cooking them - or pairing them - in a way that "unlocks" their true flavors. This book is about how to cook the simple ingredients you can find in a grocery store and how to unlock their essences. Throughout, you will find updated classics, such as Roasted Tomato Caprese salad with slow-roasted tomatoes for that rich summer flavor all year 'round. The Roasted Pears with Blue Cheese pair a classic combination in a new way. On the grill, the Tuscan Lemon Chicken is the moistest, most delicious chicken with a marinade of fresh lemon juice, garlic, and rosemary. And when I serve the easiest Brownie Pudding for dessert, my guests think I'm just brilliant.